East Timor, also known among its locals as Timor Leste, is a country located in Southeast Asia. Located on the eastern part of Timor Island it is bordered by Indonesian on the western side of the island. Two small islands, Atauro and Jaco, are also a part of the country. 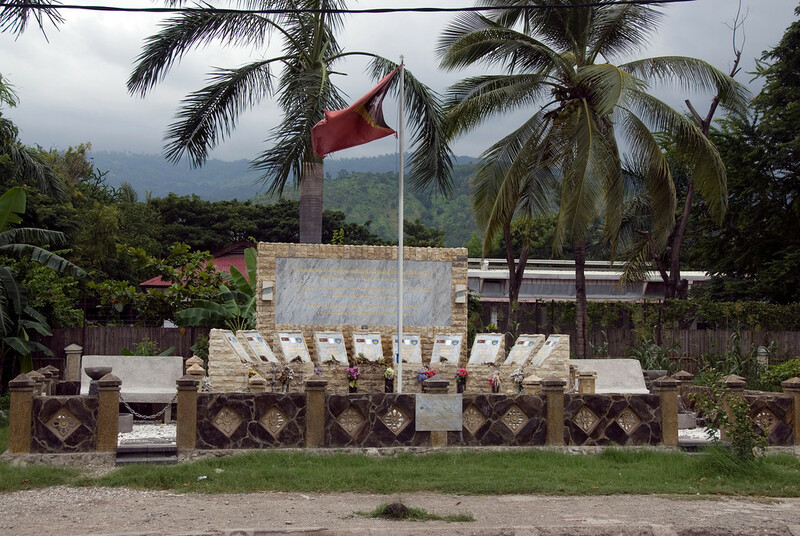 When you travel to East Timor, you will get a glimpse of its war-torn history and past. East Timor was occupied by the Portuguese in the 16th century and was called Portuguese Timor at that. Eventually, they gained independence from Portugal but was occupied by Indonesia in 1999. The Portuguese influence in East Timor’s culture is therefore a result of several years of colonization. 80% of East Timor’s citizens are employed by the agricultural sector. The villages of East Timor depend on subsistence farming,and less than 20% of rural residents have electricity. 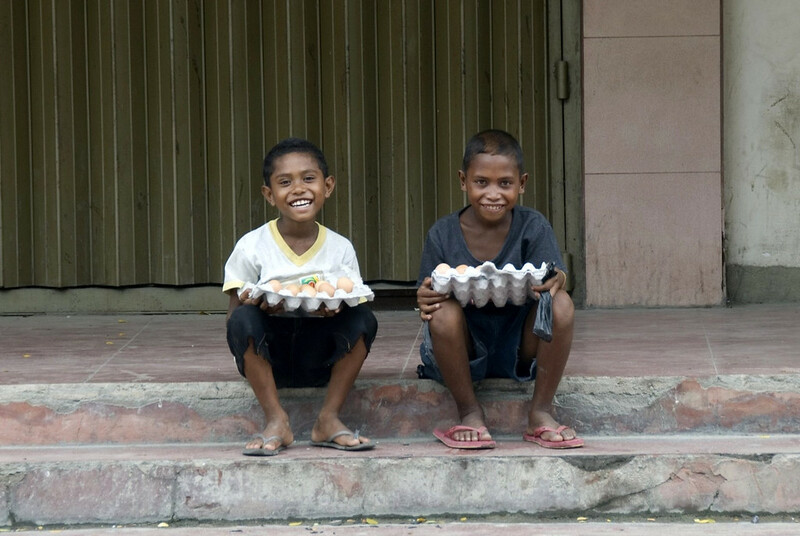 Nearly half of the population of East Timor lives in extreme poverty, and half of the population is illiterate. The country is still experiencing the effects of damage from its decade long struggle for independence against Indonesia where 95% of the country’s schools were destroyed, and many other infrastructure damages. Official Language: Portuguese and Tetun are the official languages in East Timor. WiFi Availability: More cafes and hotels are now offering free WiFi to their guests. However, the access to WiFi is still limited and can be painstakingly slow at times. Airport/s: Presidente Nicolau Lobato International Airport is the main international airport for travel to East Timor. Visa Required: All tourists wishing to travel to East Timor must have a valid passport, visa and return ticket upon entering the country. Portuguese nationals are exempted as they can enter East Timor without visa provided that their stay do not exceed 90 days. Driving: In East Timor, driving is on the left. Many visitors choose to utilize taxis and buses. Not only is the road system challenging due to infrastructure issues. There is also an extreme lack of road signage. International Driver’s License Accepted? You can use your foreign ­issued driver’s license to drive in East Timor. 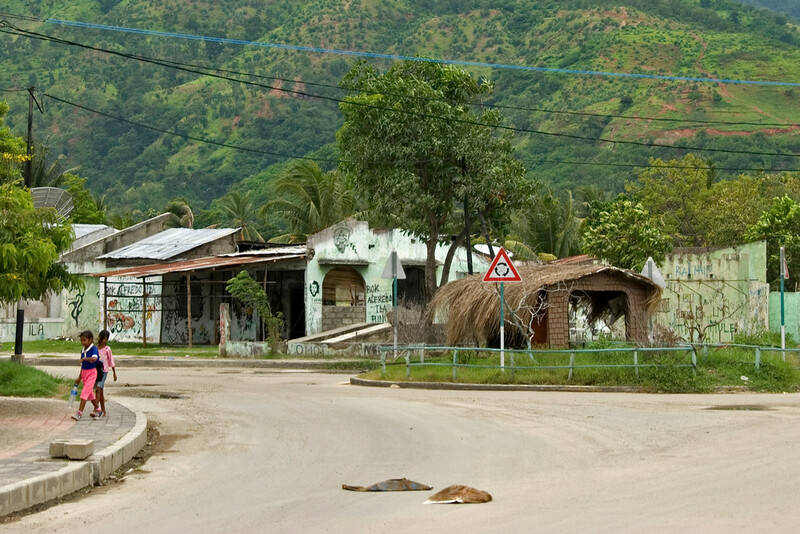 Crime: Crime is a major concern in East Timor. The security level is fragile and tourists are recommended to avoid areas where there is a large crowd or demonstrations. Gang related violence, robbery and assault on vehicles are pretty common. Electrical Adapters: An electrical outlet in East Timor is 220 volts and powered by a frequency of 50 Hertz. However, what is confusing is that they use multiple plug types namely C, E, F and I.
Trivia: The first democratic election in East Timor was in 2001. The country was first invaded by Portugal and then Indonesia. East Timor cuisine is distinctive for its use of regional food products such rice, vegetables, root crops, legumes, basil, tamarind and tropical fruits. The local cuisine in East Timor combines influences from its neighboring Southeast Asian countries and Portugal. East Timor is primarily a Catholic country. Public holidays include traditional Catholic holidays as well as days commemorating the liberation struggle. 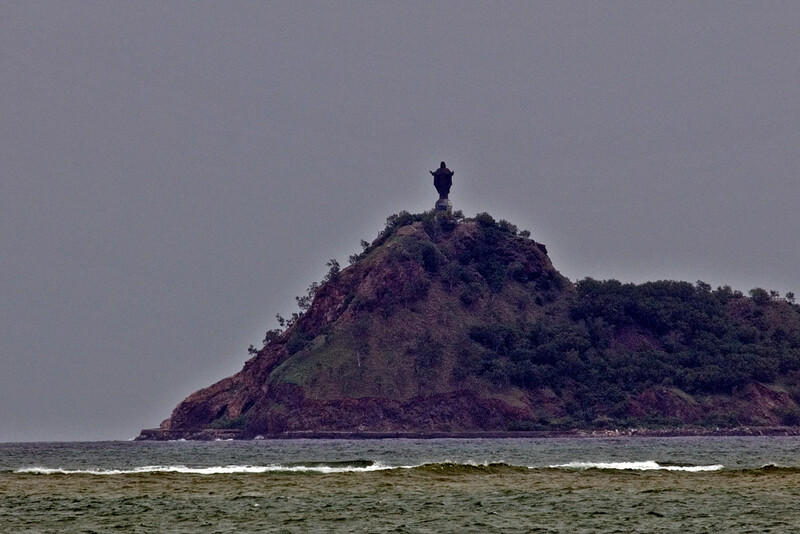 Cristo Rei of Dili – This 27­ meter statue, which literally means Christ the King of Dili, depicts Jesus standing on top of a globe. The statue is located in Dili, East Timor. That was given by the Indonesian government on 1996 to the people of East Timor. It is one of the main attractions in the country. Tatamailau – Also known as Mount Ramelau, this serves as the highest mountain peak in East Timor at 9,797 feet high. An annual pilgrimage is dedicated to this mountain, which is the Annunciation of the Blessed Virgin Mary. Ombai Strait – This strait provides a division of the Alor Archipelago from the other islands of Timor, Atauro and Wetar. 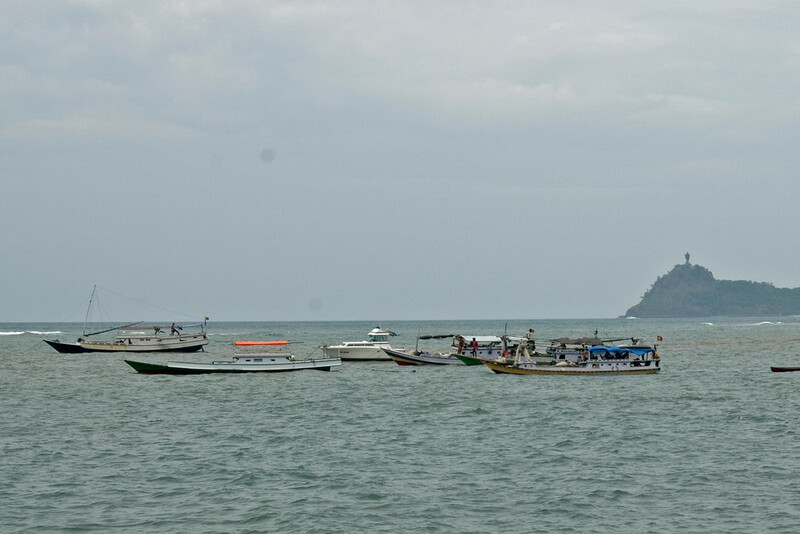 It also connects Banda Sea with Savu Sea.